Whakatane, known as ‘the Jewel of the North Island’s beautiful Bay of Plenty’, is a town in the eastern Bay of Plenty Region in the North Island of New Zealand. The town of Whakatane is the artistic and cultural hub of the District, with regular art exhibitions at Te Kōputu a te whanga a Toi – the Whakatāne Exhibition Centre, and many sites of historical significance to Māori. Take some time out to visit the local Maori culture at Mataatua Wharenui, a 130-year-old Maori meeting house. The nearby White Island is also home to New Zealand’s only active marine volcano. 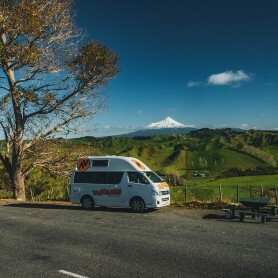 With the stunning Mount Aspiring National Park and two breathtaking alpine lakes nearby it’s not hard to see why this is a must visit destination for anyone wanting to explore the South Island’s eye-opening and untouched natural beauty. The staggering snow capped mountain peaks, the waterfalls and the glaciers that can be found in this area are all featured in The Lord of the Rings trilogy. Need we say more? If you’re planning a trip to New Zealand’s biggest city, Auckland, on your travels then don’t miss out on a day trip to nearby Mangawhai. This small town 100km north of Auckland is a short drive that feels like a world away. The Pacific beaches offer you the chance to surf, while the chilled out harbour provides the chance to swim and kayak. 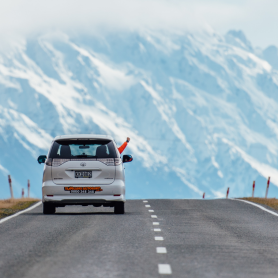 The laid back town of Kaikoura, where rugged mountains meet the stunning South Pacific Ocean seascape, is only a couple of hours drive to the north of Christchurch . This picture perfect stop off is rich in Maori culture. In fact it’s name literally means, ‘eat crayfish’, in Maori. The name may give you a hint as to the fresh seafood and local produce on offer here. 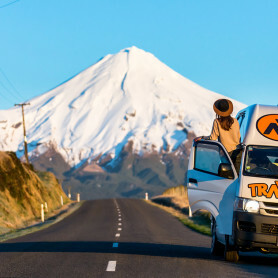 Pick up some local New Zealand cuisine at a local food truck or restaurant. Stay in the heart of this untouched and ancient forest for a totally unique experience. The national park is also home e to the mystical Whanganui River, New Zealand’s longest navigable waterway. Opt to take a jet boat or embark on a canoe or Kayak safari from Taumaruni. Many of these tours are run by local Maori, a great experience to see local customs in action. 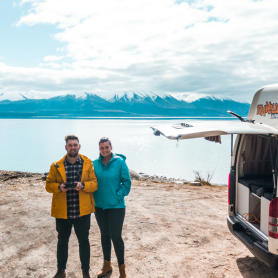 If you’re looking to hire a campervan in New Zealand for your upcoming adventure then get in touch with the team or request a quote today.